Packing Guide for a Family of Traveling Eaters. 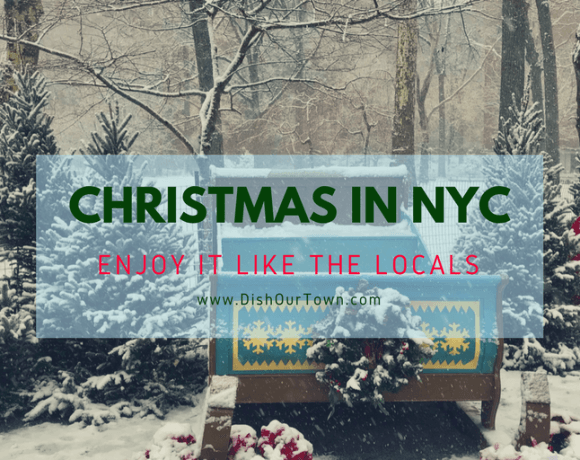 A NYC family telling stories on Food, Travel & Recipes, One Dish at a Time. 1.6.3 Do you know your Alphabet City? Before we left for our life of full-time travel, a good friend of mine, Mullen, texted me the following, “May you and yours find everything you are looking for and everything you don’t expect to find”. As I write this, my daughter is looking at pictures from the year we were away, and feeling both melancholy and exhilarated at the same time. My wife continues to refer to some of the great moments we had during our travels on a daily basis. Yes, the experience was that of a dreamscape, but during that whole time, I couldn’t wait to wake up. Wake up to my hometown. As the song in which I quoted above goes, from my favorite group of all time, I did lose it all in New York; and I can only get everything back where I lost it. In some way a couple of years ago, “I hit an iceberg in my life” and left an industry I had belonged to for 20 years, along with possibly having a midlife crisis. If I were to answer Mullen today, my answer would be that I didn’t find what I was looking for; but I did find something I did not expect. Which was, that the world was always in front of me. Though I have seen the clearest waters, and tasted the earthiest wines, and have tasted the culture of many, my thirst was only quenched by coming home to my hometown. Now that we are back home to my city, New York, we have searched it out just as we have some of the destinations we were fortunate to have visited. Before we left, I created a list for the website, from A to Z, of our favorite places we recommended to try for those who were to visit. Now that we are back, and have new perspective, the list needed some updating. So, I went ahead and did just that; and as we continue to find new haunts that we find worthy of sharing with you, I will continue to amend. I still love to travel, and experience the many cultures that the world has to offer, and I will continue to endeavor in doing so. I can’t help, however, but feel that I get a taste of just about every culture here in this my hometown, and at the end the reason why I continue to strive to want to taste and learn about other countries. New York inspires me, and I hope it inspires you. Do you know your Alphabet City? Local’s Travel TIP: Right before leaving on our Long-Term travels, we decided to treat ourselves to a few staycations in NYC because we had been staying at Brenda’s parents’ house for 6 months, in NJ. There were nights that we were just too tired to trek our way home. The hotel we enjoyed the most was the Grand Hyatt in Midtown, which is so close to everything and conveniently located next to Grand Central. You are entirely right! I liked reading through this info and I will get back for more soon. My site is dealing with Jetblue airlines customer service and support, you might look if you are interested in that. This is a very knowledgeable post about tech support. This article describes all things very clearly. Thank you! Let’s travel the world together. Join the mailing list! Do You Know Your Alphabet (City)? Don't miss any updates, tips, offers and dishes. Sign up with your e-mail! We are a participant in the Amazon Services LLC Associates Program, an affiliate advertising program designed to provide a means for us to earn fees by linking to Amazon.com and affiliated sites.” Please read the rest of our disclaimer.